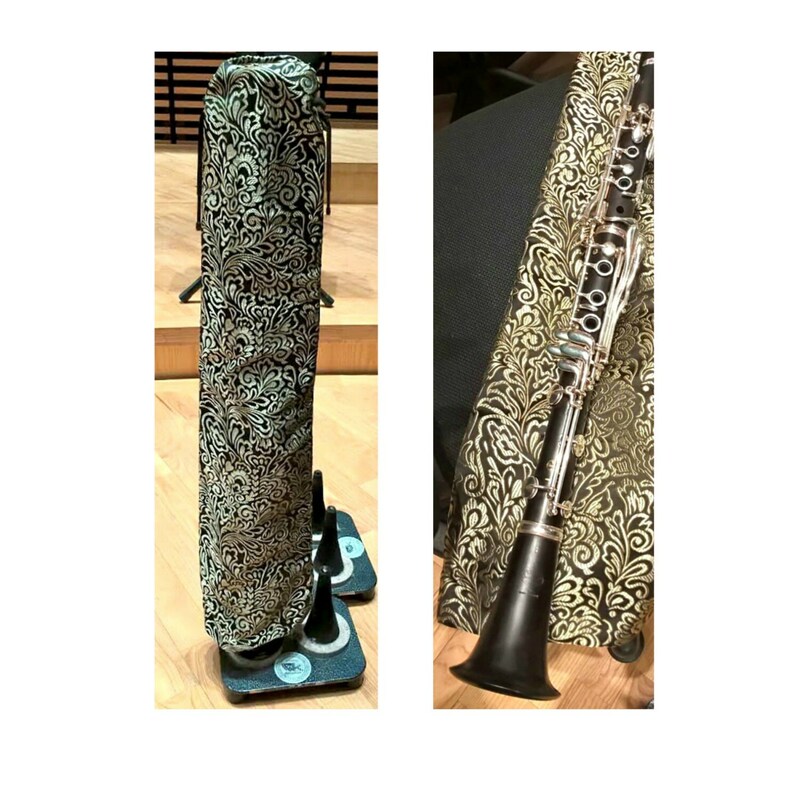 Silk bag to pull over your clarinet when leaving it on the stand! This bag is made to fit a B clarinet. I can also make these bags for A clarinet and oboes. This bag is made to order! For some extra protection, and keeping it from getting dusty. Silk gives a sence of luxury and beauty, but not only that - silk has a good moisture regain, so it will help protect your instrument when dry. 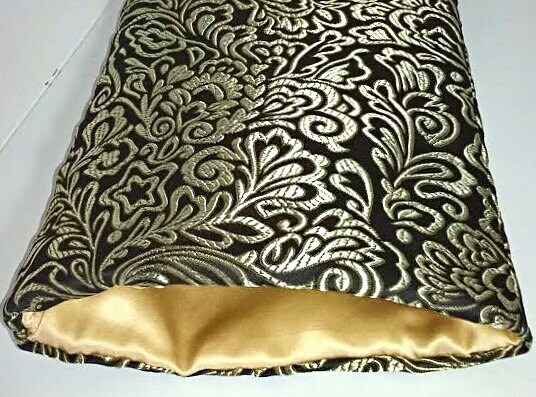 Beautiful black and gold silk brocade, lined with champagne charmuse silk and padded. Care: Dry Clean only. Can be ironed at the lowest heat. Please be a bit careful so that the silk does not get stuck in anything and get hurt. 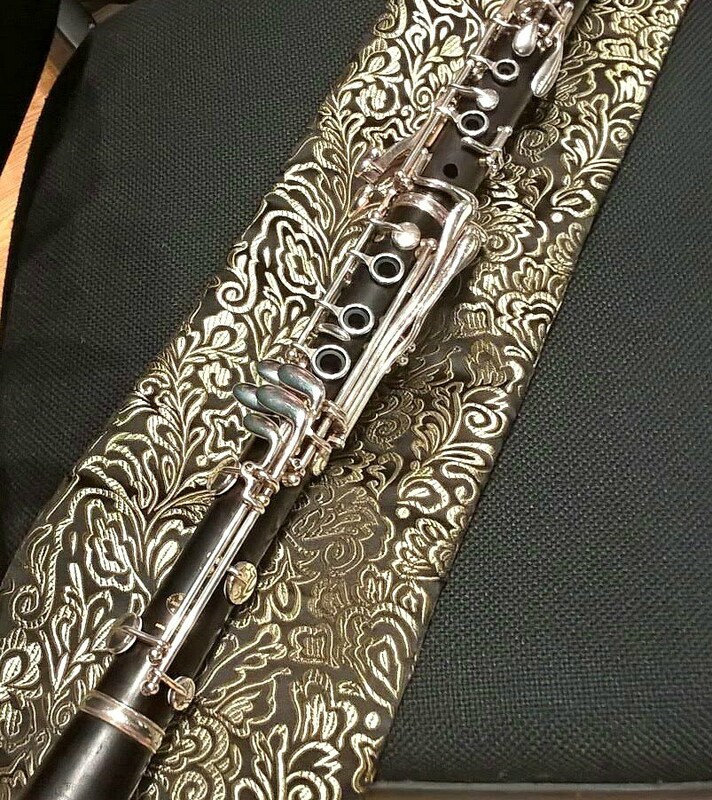 A treat for your clarinet - and yourself! Please contact me for any questions!